This research, led by Kenneth D. Poss, Ph.D., professor of cell biology at Duke University, is being conducted to see how skin cells are regenerated in various tissue types. The researchers engineered technicolor zebrafish in a system called Skinbow, enabling the team to observe the interactions of hundreds of cells during skin regeneration. With Skinbow, each zebrafish cell glows a unique color (with more than 70 different hues altogether), allowing movement of each cell to be tracked. Using their colorfully engineered fish, the research team tracked the movements and changes in size and shape of cells over a three week period. They also tracked how individual skin cells reacted to injuries, which ranged from exfoliation to amputation. Through these observations, the research team noticed enormous diversity in the way cells responded to injury. In the case of a fin amputation, the first cells to react were those located below the amputation. Closely following were the newly generated cells, and lastly, cells from the tip of the regrown tissue provided enough coverage for the surface. “These are quite different cellular mechanisms, and one would not be able to detect the sequence or the appearance of these mechanisms without being able to track all or most of the cells on the surface of the fin,” Dr. Poss said. The Durham researchers hope that in the future, this Skinbow system can be combined with other imaging techniques to provide an even more comprehensive look at cellular tissue regeneration, while also possibly assisting the development of new drug targets. This project was funded by grants from the National Institutes of Health (NIH), the National Science Foundation (NSF) and the Finalized Research and Founding for Investments in Basic Research, and its results can be found in the journal Developmental Cell. 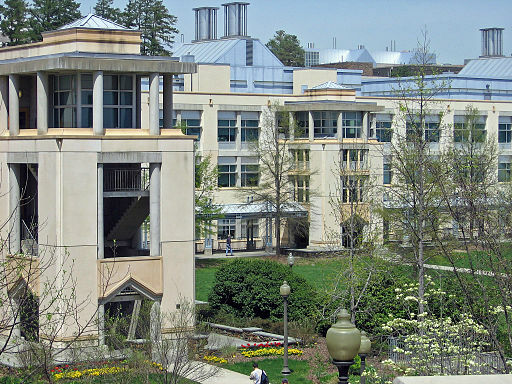 The life science research marketplace at Duke University is continuously expanding, with new grants and awards being given to life science researchers to support their work. With so much life science funding, Duke researchers frequently purchase new lab equipment. Biotechnology Calendar, Inc. produces an annual vendor show at Duke University that gives life science supply companies the opportunity to market their lab products directly to researchers at Duke University. The upcoming 16th annual BioResearch Product Faire™ Event on May 26, 2016 in Durham is expected to attract 200 active life science researchers interested in finding the best lab products and technologies.